Carmen has been an agent with PVI since 2011. 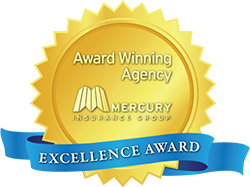 She earned her Personal and Casualty Insurance License in 2006, after only four months working in the industry! (Just a little hint about how Carmen achieves her goals.) Although Carmen has a good working knowledge of Commercial Insurance, she specializes in Personal Lines, which includes: Homeowners, Auto, Classic Auto, RV, Boat and Personal Umbrella. In other words, a little something for everyone! Carmen also values the relationships that have been created and nurtured with each of her fellow PVI team members. She loves the camaraderie that is engendered by everyone working together to go above and beyond to serve PVI customers and support our community! Not only is there tremendous respect for each other professionally, but they truly are like a family! 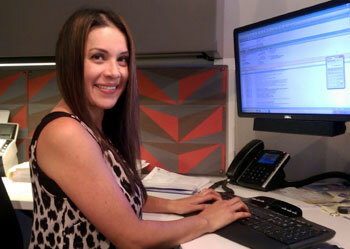 Carmen also enjoys the relationships she has built over the years working with her peers in the insurance industry. She loves that she has continued to work with many of the same insurance reps from the beginning, but she also enjoys getting to know the new ones. Of course, Carmen's favorite relationships are the ones she has with her family! She and her husband, Angel, have been together since 2003 and have two children. Carmen enthusiastically embraces her role of mother to their 10-year-old daughter, Gracie, and 3-year-old son, Andrew. As she puts it, "They keep me on my toes daily, but I love it!" In addition to her personal and professional relationships, Carmen's other passions include reading, cooking and hosting family and friends game nights. Sports also make the list with baseball and football scoring at the top. Carmen has a life-long relationship with Valley Center, since she was born, raised and continues to live here. Her father came to Valley Center from Mexico in 1976, and has lived here ever since. She loves that her dad is so well known and respected in the community, but is still surprised by the number of people who come in the PVI office, see her name and ask if she is Nacho Barrera's daughter. As she says, "My dad is a hard-working man, and I am proud to be his daughter." As a child, one of her favorite family traditions was going to the Annual Halloween Carnival with her parents, and she loves being able to continue that tradition with her own children. Carmen's favorite thing about Valley Center? She loves the close-knit relationship of the community, of course! As she says, "I feel like everybody knows each other." Based on the wonderful feedback PVI receives on Carmen from members of the community, it's obvious they are happy to know her! If you haven't yet had the pleasure, give her a call today!